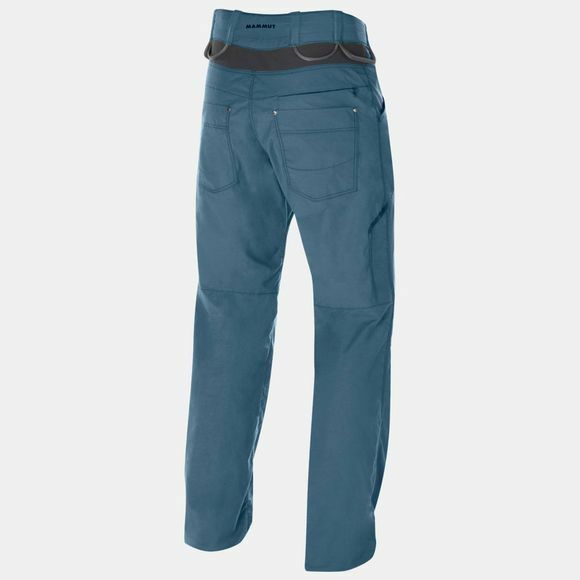 Trousers with an integrated climbing harness. 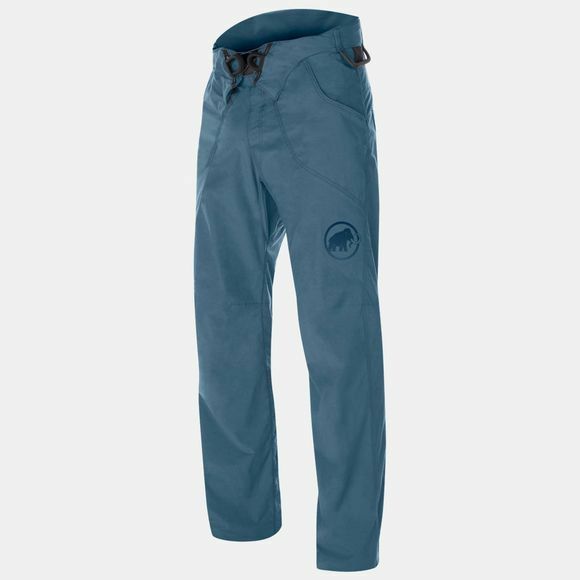 The Mammut Men's Realization Pants provide exceptional freedom of movement and maximum comfort thanks to a combination of lightweight and stretchable materials, helping you to effortlessly fly past obstacles on your climbing project. They also feature gear loops, a chalk bag attachment on the rear of the waistband and a slide-in brush pocket on the right leg.